If you ask a Physicist whether time travel is possible, they'll usually respond by saying "Well...erm...it depends...sort of...uh...look a DeLorean!" You might wonder why they don't just come out and say nobody knows. The reason is that this answer, while technically true, misses the point. 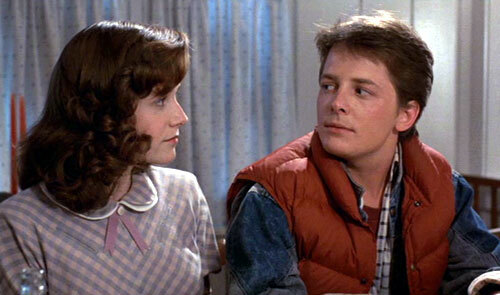 We don't know if people can time-travel but we aren't shrugging our shoulders either. If you'd asked the Wright brothers if airplanes were possible on December 6th 1903 (the day before their landmark flight) they wouldn't have said "we don't know". They'd dedicated years to studying aerodynamics and while they didn't know for sure, saying they had no idea would have sold it short. Time travel might be the same. We've not achieved it yet but some Physicists take the question seriously. They might be lunatics, they might be onto something. So the best answer to the question of time travel is probably to say "maybe." When I was about sixteen I used to do this thing whenever anybody asked me what the time was. I'd reply by saying "it's the thing we use to measure the passing of the day". I recieved many beatings. But when you get right down to it, what exactly is time? Is it a human invention to keep track of stuff or is it a feature of the Universe with properties? This used to be a question for philosophers, but since Einstein published his theory of General Relativity, Physics has been able to provide an actual answer. Time is a real thing. Sort of. Imagine a fish swimming through water. The fish can’t see the surrounding liquid but it can still detect its presence. As the water ripples and flows, the fish is aware of being pulled, but it never detects the invisible substance itself. The water is an unseeable background to the fish's universe. We, like the fish, are currently sitting inside giant invisible everywhere-substances which stretch in all directions. They're like invisible fluids which permeate the Universe and although we can never see them, we can detect their presence. Physicists have a word for these invisible materials which contain reality: fields. The field most people have heard of is the magnetic field. This field allows two objects to communicate with each other, repelling or attracting, and although we cannot see the field in its "naked form" we can see its influence on magnets and compasses. And the magnetic field is just one of several. There are fields everywhere which are responsible for pretty much all of the Physics we observe. And time, according to General Relativity, is part of one of these fields. Consider a piece of paper. You can describe it as having two sides: front and back. The two sides are distinct but they move as one. You couldn't fold just the front-side, for instance. By bending the front over you're also pulling the back with it. By being a piece of paper, it always has two components: front and a back. Well, it turns out some of the fields in our Universe are the same. They have two different surfaces which are linked together. How does that work? Imagine there was a field everywhere which was purple. As it waved and whirled, we would detect the purple-ness being darker in some places and lighter in others. We could even develop complex equations to describe the movements of the purple field. But here's the thing: we could, if we wanted, describe it as a red field and a blue field mixed together and overlapping. The purple field could be described and explained as a combination of two intertwinning fields which combine to make purple. You can’t affect the blue field without also affecting the red and vice versa. The red and blue aspects of the purple field aren’t identical of course (blue and red are obviously not the same). But they are locked together, operating as one substance. You can't sensibly talk about the blue field and the red field separately, you can only talk about their combined influence. 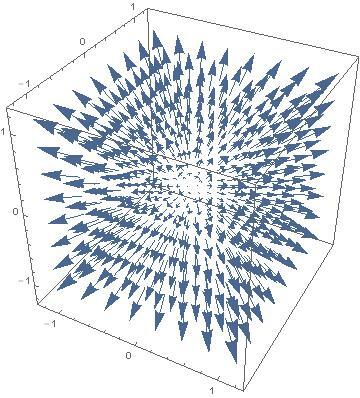 You may know that the electromagnetic field is like this, a composite field made from magnetic and electric components. And, according to General Relativity, time can be thought of as being akin to the blue field - it is an aspect of a larger field made up of space and time linked together. This gets a bit weird but it's a blog on time travel, what do you expect? It's hard to visualise but the three space-dimensions are fused with a fourth time dimension. Time is a quarter of the spacetime field. Although we think of time and space as separate things they are really mashed together into one purpley spacetime mixture. Which means whatever we do to one part of the field, we automatically do to the other parts. Einstein wasn’t the first person to play around with this idea of time being a fourth dimension. Hermann Minkowski, another great Physicist, also conceived of time as being a dimension inseparable from the others. It was impossible, he argued, to define an object in the Universe without including a time dimension because time was always present. Time doesn’t act like the other three dimensions. For one thing, we can’t immediately see how much time an object takes up. If you see an orange you can immediately know its size (spatial dimensions) but you don’t know how long the orange has been around for, and how long it will last. You can’t immediately see whether the orange will be plucked from the tree tomorrow or in a week’s time. The time dimension is partly hidden from us. Time also seems to be a one-way dimension. I can easily take a step left and then right. Or jump up and then down. Or forward and then backward. The three spatial dimensions are completely reversible. But time isn't. I can only move through time forwards. Time is also different in that we only see along it backward to the direction we're travelling. Although I'm moving along the time axis in a forward direction I can't see where I'm going, only where I've been. What I mean is that I know what happened five seconds ago, but I don’t know what will happen five seconds from now. Why is time so different? In all honesty, this is the heart of the time-travel problem. Either time truly is a different type of field-aspect or time secretly is like the spatial dimensions at a deep-level, there are just other factors which get in the way and give it the illusion of distinctiveness. What's referred to in Physics as a "broken symmetry". So, what do we know about time so far? Hafele and Keating, honest to God time travellers! Time travel to the future is not only possible, it has been achieved numerous times thanks to our knowledge of Relativity. One of the strange side-effects of the spacetime field is that it can be bent and squashed depending on how you’re moving. It sounds bonkers but Relativity tells us the faster you move, the slower time passes for you. As you travel faster time slows down. Imagine you were holding a stopwatch and your friend held an identical one. If you started them simultaneously they would tick in perfect unison. If you then got in a rocket ship and moved extremely fast, you might decide 5 minutes had passed. But when you got back to Earth, your friend’s clock says that a whole week has elapsed. You were only travelling for 5 minutes, but time was going faster for everyone else so you are now one week into the future. This isn’t just speculation. This experiment has really been done. In 1971 Joseph Hafele and Richard Keating (above) decided to put this bizarre claim of Einstein’s to the test by synching up atomic clocks and moving around the world in a jet plane. Sure enough, when the plane landed it had a different time-reading to the one on the ground, by several minutes. Astronauts experience the same thing. If you spend several months in the ISS, travelling at 27,000 km/hour you’ll find when you come back, everyone else has aged more than you have. Astronauts really do accelerate forward in time. Technically so do you! Every time you get in an airplane, a car or even run, you are slowing time down compared to everyone else. You are genuinely moving into their future. Usually this effect is very small, only a few microseconds, but travel to the future is completely accessible to us, you just have to move fast. So future travel is 100% possible. What about backwards? Again, the question is about whether is symmetric to the other dimensions or somehow unique. One of the classic problems with backwards time travel is that you could, in theory, go back in time and change the order of events, violating cause and effect (one of the most important laws in Physics). The most famous example is the grandfather paradox. Supposing I went back in time and met one of my grandfathers as a young man. And then I shot him. This prevents him from growing up and having children. My father is never born and neither am I. But if I have stopped myself from being born, that means I have never existed…so how did I go back in time and shoot my grandfather if I don’t exist? 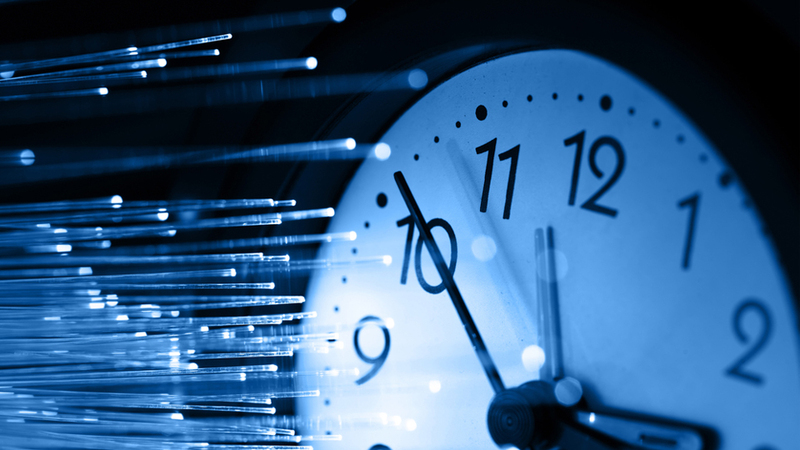 This paradox is often touted as one of the reasons backwards time travel wouldn’t be possible. But that’s not actually true. The grandfather paradox can be solved quite simply. Hollywood has already given us several ways of answering the problem. I’m going to name each one after the most famous movie to depict it (Spoilers ahead). In BTTF2, Marty McFly accidentally causes a paradox by sending some information back through time which changes the course of history - giving his arch nemesis control over his home town. But hope isn't lost because the original "good" timeline still exists and he can restore it. In this approach, when you travel back in time you create a parallel Universe. If I go backwards in time and shoot my grandfather, I’m creating two alternate realities. One in which my grandfather survived (the reality I come from) and a new Universe where my grandfather is dead. Both Universe’s now continue forwards, oblivious to each other. In the Terminator movies, there’s a similar idea: going back in time creates a new Universe, but the difference is that the original Universe gets deleted in the process. This is how the robots try to win their war on humanity, by going back in time and killing the leader of the human resistence. This creates a new reality in which the humans have no leader, and the robots win. If I go back in time using this reality, I backspace-delete the world as I go. I wind up back in the 40s, shoot my grandfather and create a new Universe, but the original one is gone. I’ve committed the ultimate mass genocide by wiping out the next 80 years. The movie Frequency isn’t very well known but it’s one of the few movies to depict this third version of time travel. In this approach, you go back and make a change, which then overlaps with the real version. I make a change in the timeline and people in the future immediately detect the change I made. Technically, Frequency and a few other films which have played with this interpretation (Bill & Ted, BTTF) cheat a little, but the idea is that my grandfather is simultaneously shot and not shot at the same time. People in the future remember him dying, but also remember him not dying. The two time-streams are invisible to anyone not affected, but for me, my grandfather and everyone we know, we end up with two sets of realities in our heads. Weird. In Twelve Monkeys, the main character goes back in time to try and change the world, but his very act of going back in time ends up fulfilling the bad thing he was trying to avoid. According to this interpretation, time is set in stone. So if I went back in time and tried to kill my grandfather, I would find it impossible. My gun wouldn’t work, the bullets wouldn’t hit him etc. etc. Since time is rock-solid and we already know my grandfather lived, travelling back in time changes nothing. Doctor Who has a very clever way of dealing with time travel – the rules are different in different situations. The same way gravity is different in different places, time’s behaviour varies from point to point. There are some events which can’t be altered and some which can. Some changed events create alternate Universes, some create overlaps. Having this loose set of time-travel rules is obviously useful for the writers because they can tell any story they want. So perhaps time, like many other substances, is just messy. Sometimes rigid, sometimes bendable. In the Star Trek episode The Naked Time the crew of the enterprise take Einstein’s time bending concept to the limit. If time slows down the faster you go, could you go so fast that eventually time would stop…and then go faster so time would reverse? The crew of the Enterprise discover that by travelling at an insane warp-factor they are able to travel backwards through time by going faster than light-speed (the Universal speed limit). While going faster than light would cause time to reverse, there is a catch. Relativity says that travelling at light speed = time stopping, but it also says reaching light speed is impossible for objects with mass. When you reach light speed your mass ends up becoming the square root of negative one – which is nonsensical. In other words, a massive object can’t do it. It would be like saying that drawing a four-sided triangle lets you travel through time. Maybe it does, but a four-sided triangle is an impossible thing. Likewise a massive-light-speed object is impossible, so it might work, but there's no way to pull it off. So does that mean time travel into the past is a no go? Not necessarily. If spacetime is a fabric which can be bent and twisted, could it be bent back on itself? As far as we know, the answer is yes. In what’s called an Einstein-Rosen bridge effect, it is possible to take spacetime, loop it and point it back at itself like a hosepipe. Travelling into one of these tunnels would spit you out somewhere else in space and somewhen else in time. Normally the shortest distance between two points is a straight line. But if we're allowed to bend spacetime however we want, we could grab two bits of the Universe and bend them so that they're touching. To a creature inside the Universe, they would measure the distance between two points in spacetime as being far apart (like the glowing loop on the left side of the diagram). But to the wormhole traveller, you can shortcut from one part of space to the other (as shown by the tunnel in the centre of the diagram). The only catch with a man-made wormhole is that we couldn’t travel any farther back than the earliest one we’d built. Suppose we built one mouth of a wormhole in 2017 and the other end in 2019. That would mean we could only ever go back to 2017. So I’m afraid nobody can go back and kill Hitler because nobody built a wormhole-mouth in 1939. The past has been made inaccessible to us, but if we somehow crack wormhole technology, it might not always be so. Quantum mechanics describes the basic laws which our Universe runs on. It's the fuel which makes Physics go. It's also remarkably weird because the laws of quantum mechanics are very different to the laws of the common sense world. Quantum mechanics is used to describe the fundamental particles of reality and it turns out they do some very strange things. 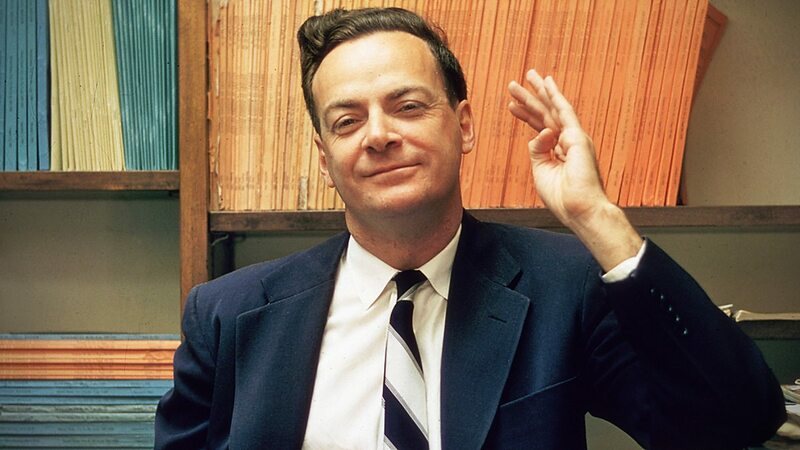 Of particular interest is Feynman's work on something called Charge-Parity-Time (CPT) conservation. Charge describes whether two particles will attract or repel. Parity refers to their directionality; whether they move left or right. Time refers to which direction they're moving through the spacetime fabric. Feynman was able to show, with unambiguous clarity and powerful experimental evidence, that all three of these properties can be reversed in unison. Feynman discovered that if you reverse time, the laws of Physics look identical. There is nothing preventing particles from moving backwards. While time looks unsymmetrical from our perspective, to a particle it is completely symmetrical. The same way playing a video in reverse causes everything to move in the wrong direction, reversing the time-flow of a particle will also flip its parity and charge. Particles travelling backward in time should appear to us as some kind of reversed-matter or “antimatter” which has been discovered. We can even make it. So is it possible that every time we make antimatter, we're also successfully creating backward-time-travelling particles? Yes. Obviously, everyday objects aren't moving backward through time however. So why do tiny particles see time as symmetric, but this symmetry gets broken by the time we scale it up to the everyday world? There are lots of possible answers and none are completely satisfactory. This is what the time-travel question is about. So, is time travel possible? Well...erm...kind of...depends on...sort of...uhh...look there's a Delorean!